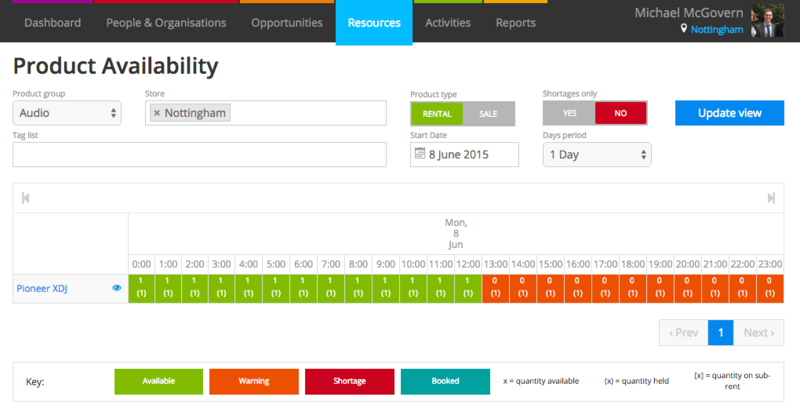 The availability period is at the base of all availability calculations in Current. It determines the unit of availability in your system. Products are unavailable for whole days. This is the default. Half day gives you two periods of availability; morning (midnight to midday) and afternoon (midday to midnight). Quarter days are defined as units of 6 hours starting at 00:00. Hourly provides 24 units of 1 hour per day. How do these options affect my availability? 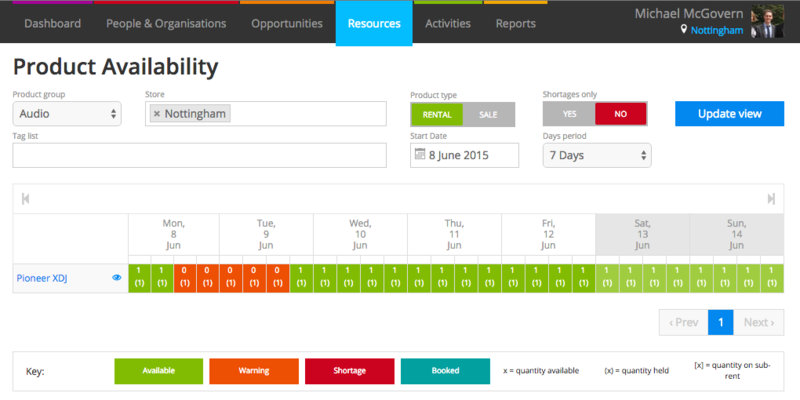 Products added to an opportunity are unavailable from the start of the availability period they fall in, and available from the next availability period (plus any post rent unavailability). The product is unavailable for all of Monday and Tuesday. It will be available again on Wednesday. The product is available for Monday morning; unavailable for the rest of Monday and Tuesday; available again from Wednesday morning. The product is available for Monday morning; unavailable for the rest of Monday and Tuesday until 6pm on Tuesday evening when it is available again. The product is available until 1pm on Monday; unavailable for the rest of Monday and Tuesday until 2pm on Tuesday when it is available again. Head to System Preferences to change your availability period. It’s under the Product Settings heading. Keep in mind that if you change your availability period, you’re also changing the default time unit used in your system. This means that if you’ve set up post rent unavailability for your products and you change your availability period, the unit will change but the value will not. 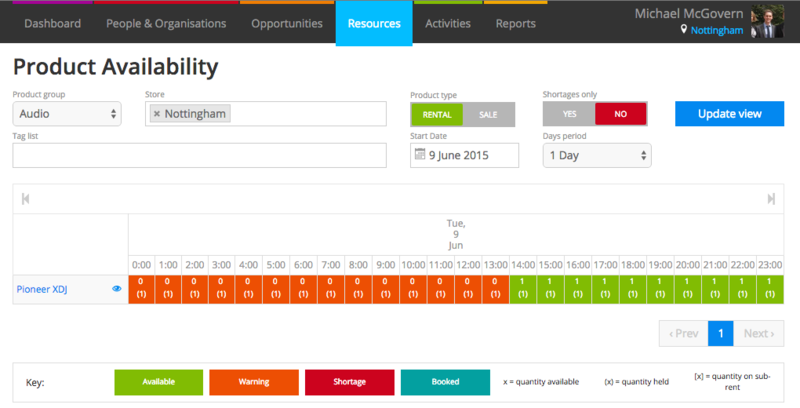 For example, if your availability is set to days and you’ve got a post rent unavailability of 1 day on a product, if you were to switch to hourly availability, that will become 1 hour.